“UL Listing” is one of those things that affects us every day of our lives, but we might not understand what it is. I’m sure many of you have seen that phrase on a new refrigerator you bought, or a power-strip that you plugged your TV into, but what does it mean, why is it there, and is it important? UL, known for most of its existence as “Underwriters Laboratories,” started in 1894 in Chicago, IL as an organization for testing and developing standards in the then-growing electricity field. From its founding until today, UL has maintained and expanded its original mission into testing and developing standards for almost every part of American daily life. 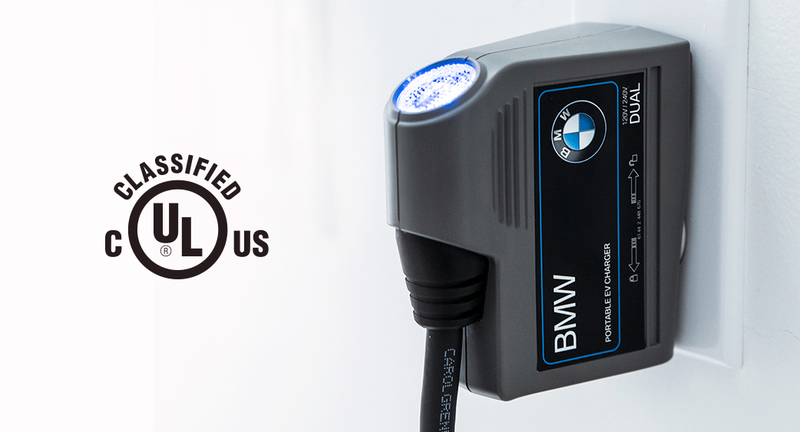 They are an OSHA approved Nationally Recognized Testing Laboratory and perform safety testing on a variety of products, including EV chargers. All of AeroVironment’s EV chargers are tested and certified by UL before we sell them to consumers to ensure that they are safe, durable and meet our highest standards. These include things like thermal safety, electrical shock protection, and outdoor rating, and give the consumer the peace of mind knowing that the charger won’t cause potential harm in their homes. UL testing and certification isn’t mandatory, though, and many of the chargers you find on Amazon and from other companies aren’t UL listed. Does this mean that these products are all unsafe? Of course not, it just means that their performance and safety haven’t been tested independently and verified to meet safety standards. We’re under the opinion here that if you’d want your fridge or power strip to be UL listed for safety, you’d probably want your EV charger to be UL listed too. Hop on over to our store, or contact our customer service, to learn more about our EV chargers. If you have any more questions about safety and reliability we’re always happy to answer them, and proud of the fact that we’re the preferred charging solution for eight of the largest automakers in the world.